Degustabox is a very popular food subscription box that sends you a surprise selection of food products from a wide range of brands. There is a fantastic variety included, with items that will suit and please the whole family, plus it’s very affordable with the contents always being worth more than the subscription fee, so you’re getting a bargain! 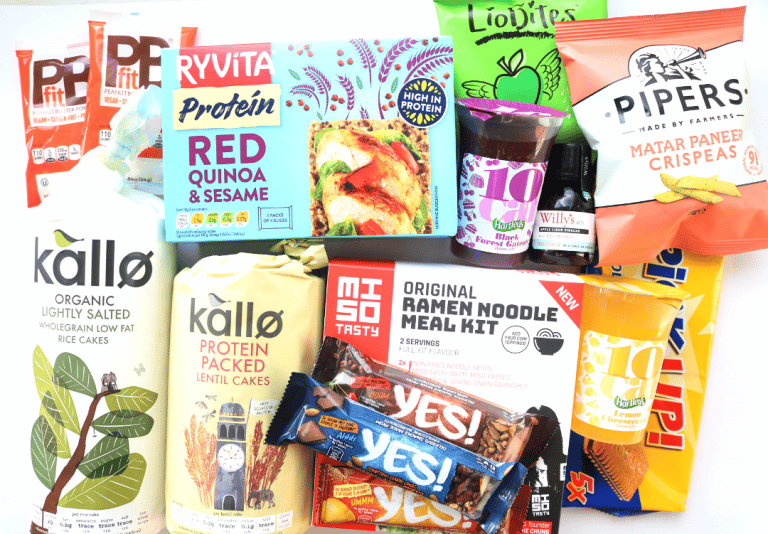 It’s also a great way to try out some new products, as many items are new releases that have only recently been launched into the supermarkets. 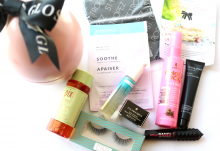 January’s Degustabox is themed Recovery and comes in a new box with a sleeker design. There are some interesting healthy products inside, plus a delicious sweet treat! 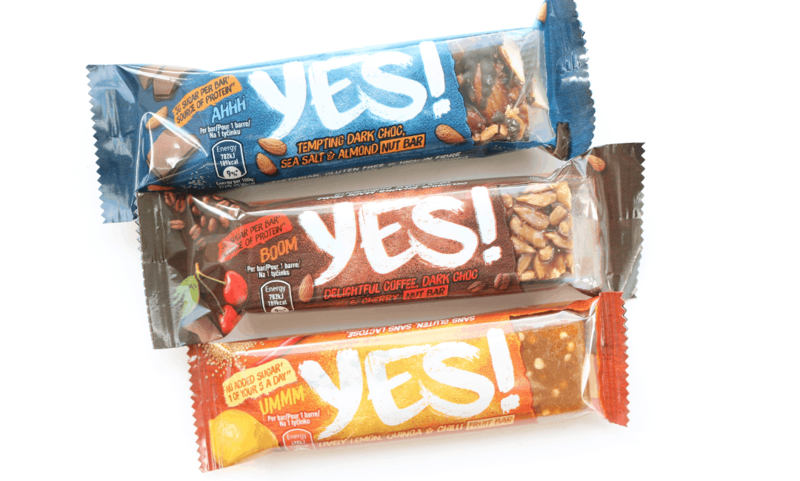 First up, I found three snack bars from YES! in three different tasty flavours. There’s Tempting Dark Choc, Sea Salt and Almond, Delightful Coffee, Dark Choc and Cherry, and Lively Lemon, Quinoa and Chilli. All of these fruit and nut bars contain no added sugars and count towards 1 of your 5 a day. I really enjoyed these, especially the Coffee one, and they’d be perfect for desk drawers and lunchboxes. At only 91 calories per bag, this is a moreish vegetarian-friendly, healthy savoury snack. They are also gluten-free, wheat-free and barley-free. 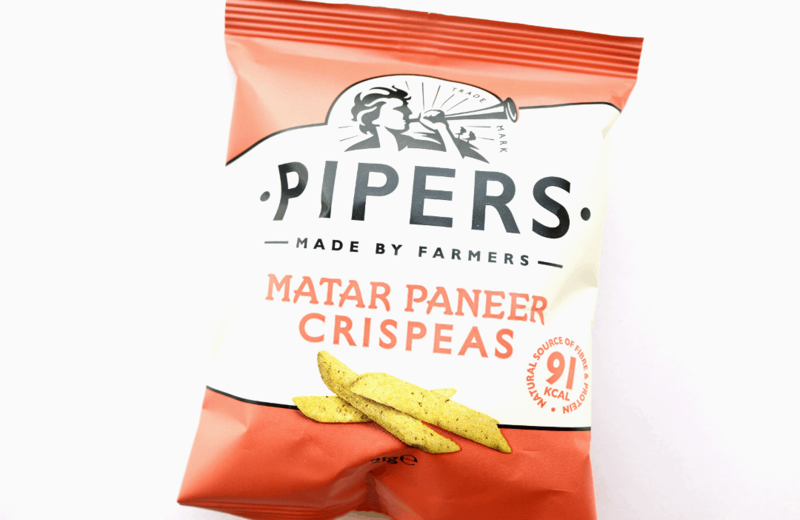 I loved this Matar Paneer flavour and would definitely buy it again! It went very well with a sandwich and a bowl of soup! 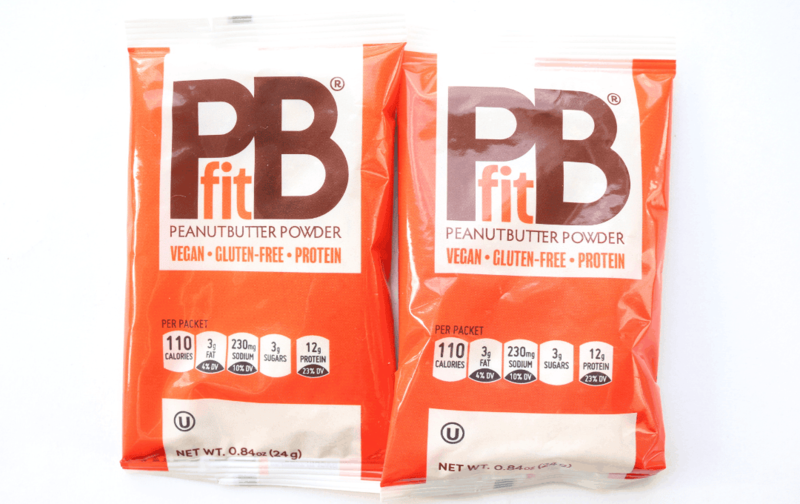 If you’re looking for a low-fat alternative to regular peanut butter, this PBfit Peanut Butter Powder contains up to 90% less fat than mainstream products and about 1/3 of the calories. How? The whole-roasted peanuts are simply pressed to create a powder which can be added to smoothies, shakes, baking and more, for the same great taste as peanut butter, minus most of the fat! I’ve tried it in my morning smoothie today and it’s absolutely delicious. 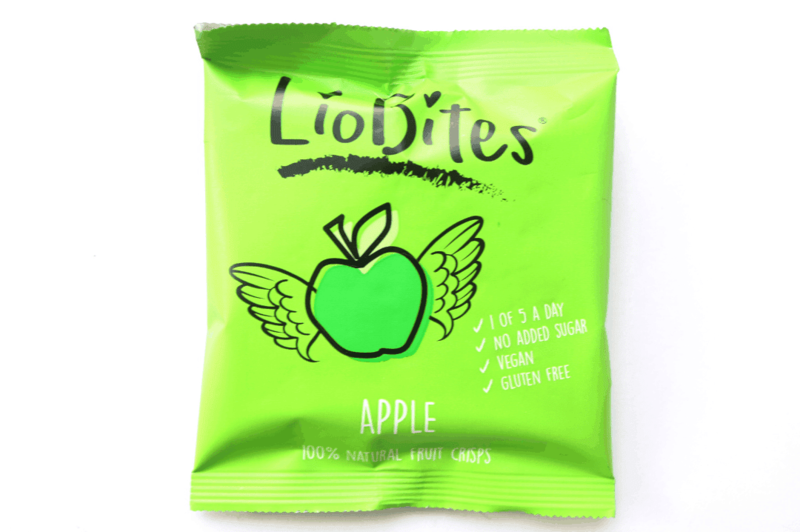 Next up, I found a bag of Fruit Crisps from LioBites, and subscribers will receive either the Strawberry or Apple flavour. I received the latter in my box and liked the lighter, crunchy taste of these. They’re vegan-friendly, gluten-free and count as 1 of your 5 a day. How cool is this boxed kit?! I love having products like this handy in the cupboard for when I want a quick and easy meal, especially if I’ve had a busy day. 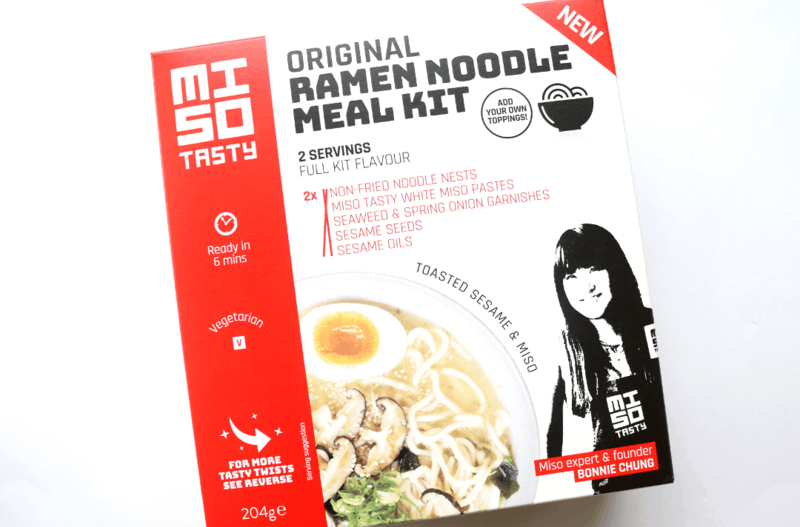 In this kit, you’ll find all the ingredients that you need to make two tasty servings of Ramen Noodle Bowls – all you need to add are any fresh veggies and you have a meal that’s ready in just six minutes! Even healthy people need a treat once in a while and these Pick Up! biscuit bars are so, so good! 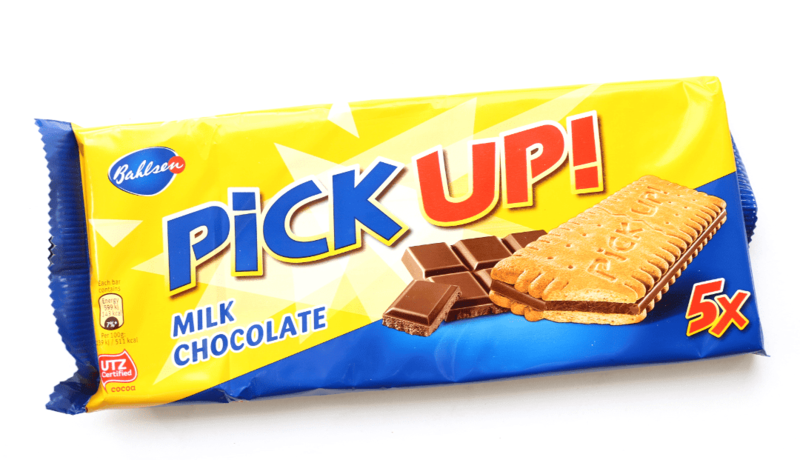 Sandwiched between two crunchy biscuits, you’ll find a layer of thick milk chocolate which is ideal for dunking into a cup of tea or hot chocolate when you fancy a break. Go on, you deserve it! 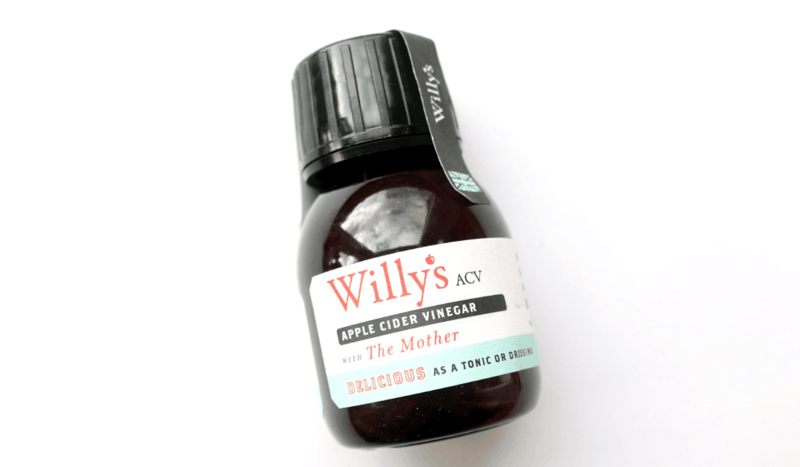 Raw and unpasteurised, Willy’s Apple Cider Vinegar contains The Mother to retain all of its many nutritional benefits. Try adding a little to Olive Oil to make an easy salad dressing or try a little in your morning green juice/smoothie for a really healthy start to your day. 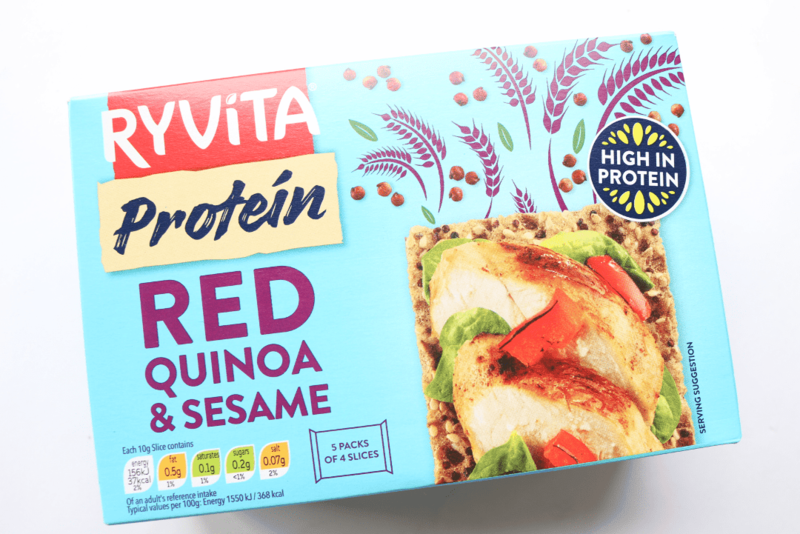 Brand new from Ryvita are these Protein Red Quinoa & Sesame crackers/crispbreads. High in protein, high in fibre and suitable for vegans, these are baked with Pea Protein and Rye, as well Red Quinoa and Sesame for a wholegrain cracker that can be enjoyed in multiple ways. I love these topped with some hummus or avocado for a quick snack in the afternoon. 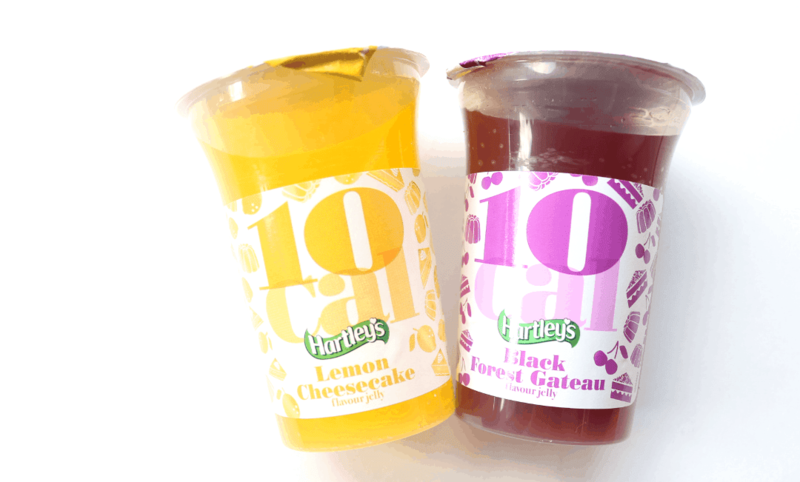 Inspired by the nation’s favourite desserts, these Jelly Pots are only 10 calories each, making them perfect as a guilt-free, after dinner pudding. I particularly enjoyed the Lemon Cheesecake one, though the Black Forest Gateau was good too! The last products in the box were both from Kallo and subscribers will receive one of these varieties in their box this month. 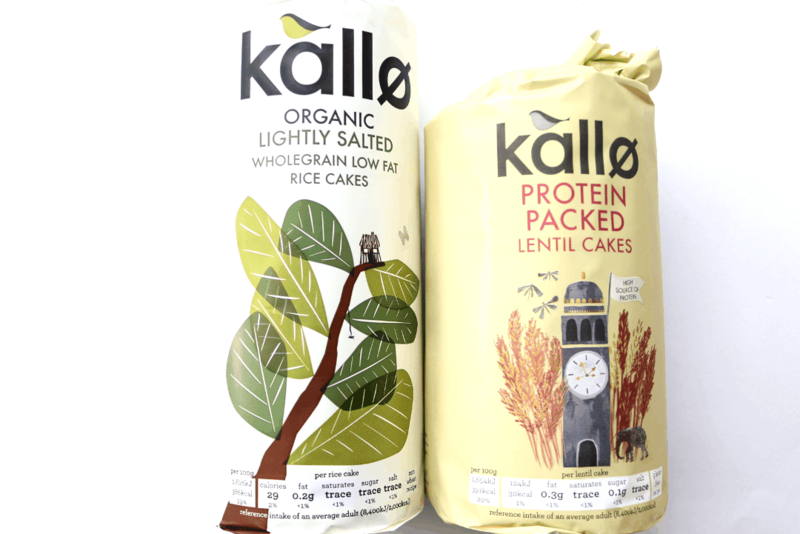 The Organic Lightly Salted Rice Cakes are brilliant with all sorts of low-fat cheeses, salad toppings, hummus and more, and the Protein Packed Lentil Cakes are a crunchy alternative that can be used in very much the same manner, yet have a higher source of protein. Delicious either way! Use the code ASB2018 to get £5 off your first Degustabox, free delivery AND a free bonus item (Jules Destrooper Almond Thins & Belgian Chocolate) – enjoy! 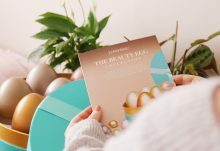 If you're looking to try out some healthy products for January, Degustabox is where it's at! Lots of new discoveries for me and everything was really tasty!